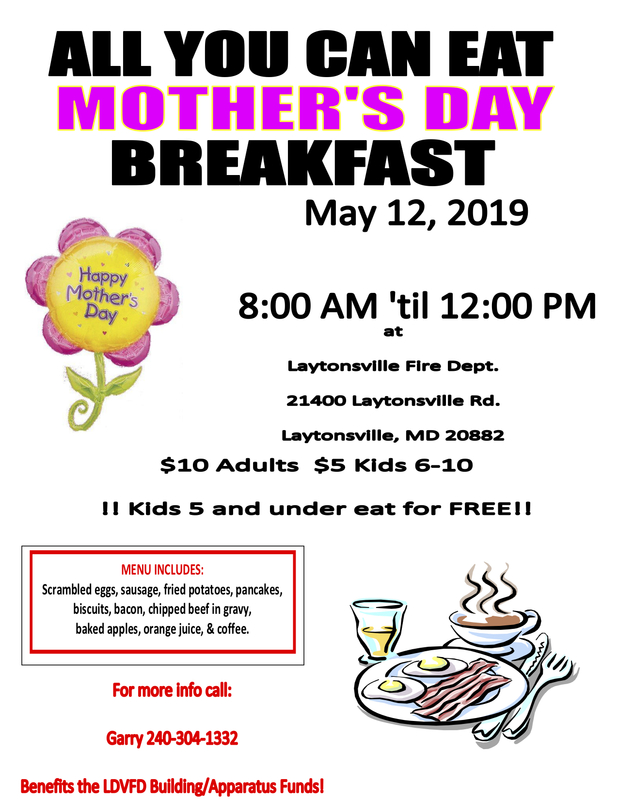 Come join us for our Mother's Day All-U-Can Eat Breakfast on May 12th from 8:00 AM to Noon. Meal Includes: Scrambled Eggs, Sausage, Fried Potatoes, Pancakes, Biscuits, Bacon, Chipped Beef in Gravy, Baked Apples, Orange Juice and Coffee. All Proceeds benefit the LDVFD Building/Equipment Fund.